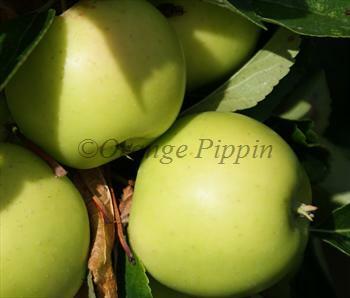 Greensleeves is the result of an interesting experiment, crossing the crisp sweet flavours of Golden Delicious with the juicy acidity of the famous Scottish apple variety, James Grieve. The result is a mid-season apple that crops heavily and grows very easily. The flavour is, as you might expect, simple and straightforward - basically sweet but quite a bit sharper than Golden Delicious. Even so, since Golden Delicious prefers a warmer climate than is found in much of the UK, Greensleeves can be considered as a reasonable substitute. As with many varieties that have James Grieve in their parentage, Greensleeves is a notably juicy apple, and useful for juicing and cider. Please fill in the details below and we will let you know when Greensleeves apple trees are back in stock. Greensleeves is in flowering group 2. Greensleeves is partially self-fertile, but fruiting will be improved if there is a compatible tree of a different variety nearby. Greensleeves is one of the easiest apple varieties to grow, and is partially self-fertile, and this probably accounts for its steady popularity amongst gardeners. Greensleeves is also a very good pollinator for other apple varieties because its blossom is unusually long-lasting (a quality it inherits from both Golden Delicious and James Grieve, which are both good pollinators). A cross between Golden Delicious and James Grieve, developed at the famous East Malling Research Station in Kent, UK, in the 1960s.